Shoes | Which way is up? Me: Milo, we wear shoes when we’re outside. 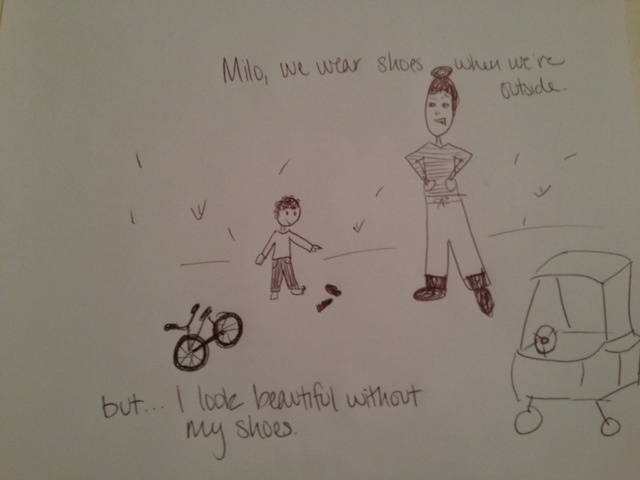 Milo: But… I look beautiful without my shoes.